in stock , 10.4" Fanless Panel PC, E3845 1,91 GHz 4GB DDR3L Datasheet download / Customs Tariff..
delivery 5~6 weeks , 10.4" Fanless Panel PCDatasheet download / Customs Tariff (HS) code: 84714..
delivery 5~6 weeks, 10.4" Fanless Panel PC﻿Datasheet download / Customs Tariff (HS) code: 84714..
in stock, Lex 12.1" Fanless Panel PC, image aspect ratio 4:3, E3825 1,91GHz 4GB DDR3L on boardD..
by request 5~6 weeks , Lex 12.1" Fanless Panel PC, image aspect ratio 4:3, E3825 1,33GHz 2GB DD..
by request 5~6 weeks, Lex 12.1" Fanless Panel PC, image aspect ratio 4:3, E3825 1,91GHz 4..
by request 5~6 weeks, Lex 12.1" Fanless Panel PC, image aspect ratio 4:3, IVY Bridge Core..
by request 5~6 weeks, Lex 12.1" Fanless Panel PC, image aspect ratio 4:3, 1047UE 1,4 GHz ..
in stock, 15.1" slim PPC 4:3 (wall mount), Part nr. , 1024x 768, 2I385CWI44, E3845 1,91GH..
by request 5~6 weeks , 15.1" slim PPC 4:3 (wall mount), Part nr. 1024x 768, 2I385CW-I22,&..
by Project min. Qty requested , 15.1" slim PPC 4:3 (wall mount), 1024x 768, 3I380CWI44,&n..
by request 5~6 weeks , 15.1" slim PPC 4:3 (wall mount), 1024x 768, CI770-6CXX , 104..
by request 5~6 weeks , 15.1" slim PPC 4:3 (wall mount), 1024x 768, 3I847-3C4, 1047U..
delivery 5~6 weeks. 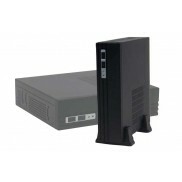 Lex 8.4" Fanless Panel PC, Image aspect ratio 4:3, CPU E3825 1.33GHz, 2 GB DDR3L..
in stock. 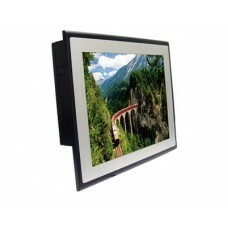 Lex 8.4" Fanless Panel PC, Image aspect ratio 4:3, CPU E3845 1.91GHz 4 GB DDR3LDatasheet d..